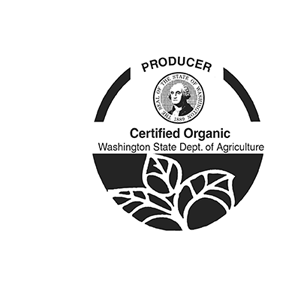 Jean Marie’s Garden, LLC is a family-owned farm operated by Dave and Talia Hammond located in the verdant hills of southern Washington in the Columbia River Gorge national scenic area. Specializing in sustainably grown culinary and medicinal herbs, Jean Marie's Garden offers bulk herbs through wholesale, retail and CSA format. We also provide finished herbal products that nourish the health of people and the planet. As part of our mission to make medicinal and culinary herbs a part of everyday life, we offer workshops throughout the year and seasonal farmstays that are as relaxing as they are educational. We believe responsible stewardship of the land and practicing organic agriculture are critical components of a thriving ecosystem that supports our health and wellbeing. With Jean Marie’s Garden, we are able to cultivate a renewed interest in traditional herbal wisdom and share the benefits of culinary and medicinal herbology through our products, workshops, and onsite experiences. Although we operate as a small family farm, we think of ourselves more like a garden. For us the word ‘garden’ conveys ‘working with’ the earth to cultivate a healthy ecosystem that will support growth and restoration, which aligns with how we manage our farm. One fine day, Dave and Talia Hammond sat down and each wrote a list of jobs they would love to have — organic farming was on the top of the list for both of them as each had been working with the earth since childhood. As modern day homesteaders, they have incorporated traditional wisdom about horticulture with technical innovation to create a sustainable stewardship of their land and what it can offer for themselves and others. Unafraid to jump into a project, the Hammonds are industrious, often experimental, and undeniably passionate about the responsibility they feel to give back to the earth and to people and animals around them. The soil runs deep in Talia’s blood as it were. Raised on a farm in Iowa built by her great great grandfather, Talia spent her childhood summers snapping beans and pulling weeds. After years of self study, she connected with a local herbalist in the gorge and became enthralled with the possibility of providing medicine to her family from her own fruitful yard. Eventually, Talia enrolled in the School of Traditional Western Herbalism in Portland, Oregon where she continued to expand her knowledge. Talia also has the honor of working as a winemaker at Aniche Cellars in Underwood, WA, where she helps make kickass wines with a zany group of folks. Talia handles general management, sales, field work, lodging, and workshops—all with a baby on her hip. She is our People’s Person. Dave is truly a jack of all trades. After retiring from the professional wildwater racing world, he met Talia and they began a journey into cultivating the earth. Dave is our Ag Manager and oversees the details of planting, harvesting, and maintenance. Lots of maintenance. To date, he has built nine buildings by hand, ranging from cob, to lamb’s-wool-stuffed post and beam, to reciprocal roof, to underground earthbag. Being a dirt-poor kayaker forced to keep his jalopy car running for most of his early adulthood didn’t come without its lessons, and Dave uses that hard-won knowledge almost daily as he repairs the machinery we use. Dave can still be seen pushing rubber down the White Salmon River as a guide for Zoller’s Outdoor Odysseys, although the farm takes most of his time nowadays. He also bakes an incredible loaf of bread and can sing Raffi spot on. The Hammonds want more than ever to provide wholesome experiences and jobs within their community that they can feel good about. Jean Marie’s Garden was named in honor of Dave’s mother, Jean Marie Hammond, who passed away in 2014. May her spirit grace us with her ever-present love and support. Nestled among conifers, dogwoods, and oaks on a rise of Nestor Peak just outside of White Salmon, WA, Jean Marie’s Garden features sweeping views of the Columbia River Gorge and Mt Hood. Originally a homestead dating back to the late 1800’s, Jean Marie’s Garden is imbued with a unique spirit of nature and industry. The farm is comprised of 12.5 acres of land, our hand-built barn, greenhouse, and tipis. We are surrounded by forest lands, and right out our "door" we have trails for miles popular with horseback riders, bikers, and hikers. Consider a farmstay and come see for yourself!